Hi there! 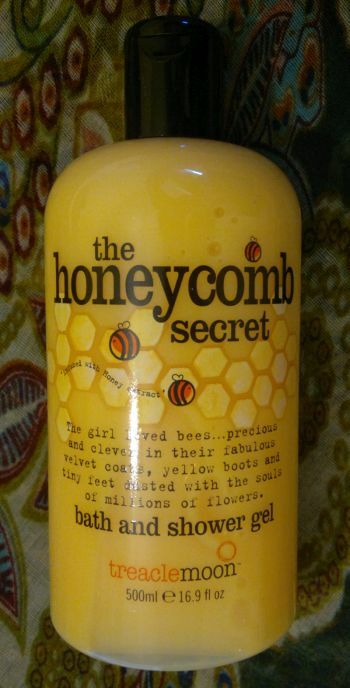 Today I’m reviewing Treacle Moon The Honeycomb Secret Bath And Shower Gel. Since the Treacle Moon shower gels that I’ve previously tried were pretty amazing, I was looking forward to give this one a try. And I’m glad I did! I love the thick gel. It cleanses my skin properly, but it also feels gentle – just like a shower cream. I think this is another wonderful shower gel from Treacle Moon. I can definitely see myself repurchasing it. Treacle Moon The Honeycomb Secret Bath And Shower Gel is available as 500ml. I paid £2 (save 1/3 offer). Hi there! It’s been ages since I tried or reviewed a “new” (well, new to me) Treacle Moon product. However, I finally managed to give this bath and shower gel a try – and I liked it a lot! Warm Cookie Dough smells like… warm cookie dough! I can’t wrap my brain around it, but I think it’s vanilla, cocoa powder (for the warm feel) and sugar. It’s delicious! More good news: This shower gel is super gentle on dry skin! Awesome stuff! 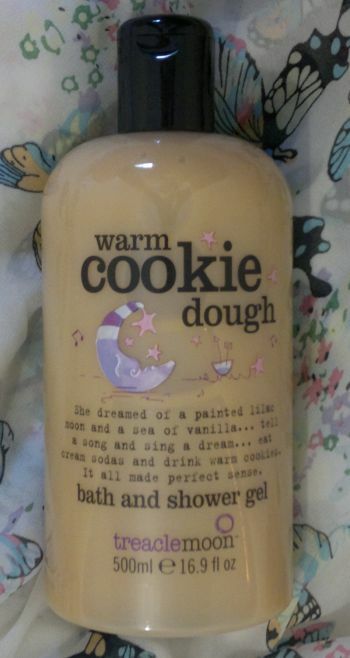 Treacle Moon Warm Cookie Dough Bath And Shower Gel is available as 500ml for £3 (Waitrose, Tesco). I paid £2 (save 1/3 promotion).